Cloud computing services can keep pace with the fast-moving nature of private sector workplaces, according to Conrad Unciano, systems engineering manager for CSRA. Unciano, who spoke at the Amazon Web Services Summit June 14, stressed the importance of fast-moving services. CSRA is itself an AWS customer. Unciano said CSRA recently migrated four of its key applications using Amazon cloud services. Unciano created a study group that focuses on nothing but the cloud. He and his group meet every week for sessions that usually last six to eight hours. Dave Vennergrund, director of Data Science Service Area at CSRA, said that most agencies and private sector companies have to deal with ever-increasing amounts of data and the same limited number of staff. He added that simply collecting data can take up about 80 percent of a data analyst’s time, and that data compilation tools offered on the cloud can significantly reduce that wasted time. “This enriched data frees up time for deeper analytics,” Vennergrund said. For example, Vennergrund described work his company had done with the Federal Aviation Administration to aggregate different data sources when filing a “Loss of Separation Report.” The report covers the reasons why two planes failed to maintain appropriate distance in the air, and is usually compiled manually. However, CSRA worked with the AWS cloud to draw together data on weather patterns, flight paths, in-flight communications, and other factors, leaving analysts the time to determine how the loss of separation happened. Andy Chang, practice manager of National Security Professional Services for AWS Worldwide Public Sector, said cloud computing services can also complement the intelligence community’s fast pace. The intelligence community, the united front of 17 organizations including the CIA and the FBI, spends millions of dollars supporting legacy devices. Chang said the result of maintaining outdated systems is downward-trending budgets, difficulty managing increased amounts of data, and user dissatisfaction. One major request Chang hears from AWS customers within the intelligence community is for guidance on migrating to the cloud. Chang said cloud migration results in a number of benefits. For example, agencies can obtain services on demand and pay for only what they use. They can also expand or shrink their deployments nearly instantly. When moving to the cloud, Federal teams should consider mission drivers, complexity, staff resources, and time frames, according to Chang. He compared cloud migration to learning to swim, and said too many agencies learn by jumping off the diving board and into the deep end before mastering the basics. “When you’re learning how to swim, it’s usually a best practice to start at the shallow end of the pool,” Chang said. Chang discussed the six migration patterns, or routes, organizations take when migrating to the cloud: rehosting, replatforming, refactoring, repurchasing, retiring, and retaining. Rehosting, which is moving applications one-for-one to the cloud in a “lift and shift” fashion, is the most popular method. 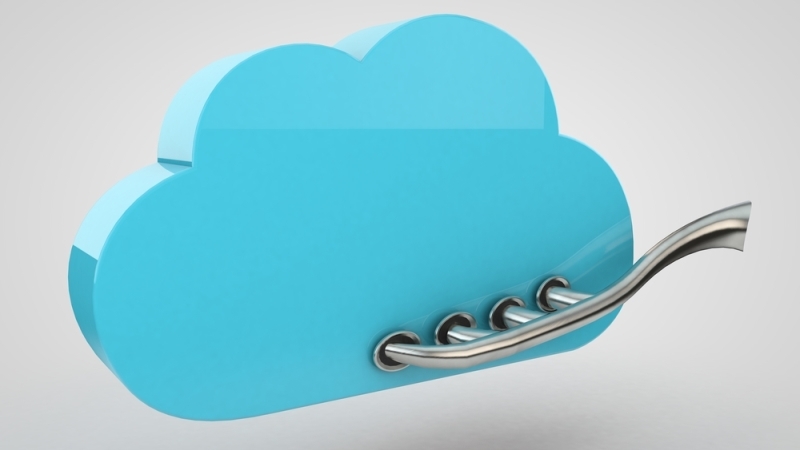 Chang said 75 percent of agencies rehost during their cloud migration. The benefit of rehosting is that it’s relatively quick; the downside is that it leaves little room for change after the migration occurs. Chang said rehosting is easiest for intelligence community security teams. “It’s not that drastically different, so it’s usually easier to validate,” Chang said. Rehosting requires checkups that only 7 percent of agencies perform, according to Chang. After initial rehosts, IT teams should replatform and refactor, meaning enhance their applications and then redesign them, respectively. Migrating to the cloud—regardless of what method agencies use—requires a culture shift among employees. Chang compared migration to Sir Isaac Newton’s third law, which states that, for every action, there is an equal and opposite reaction. He said questions over security rules and operational access accompany any major shift.